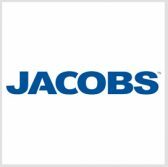 Jacobs Engineering Group, a Comprehensive Long-term Environmental Action Navy program contractor, has received recognition for its cleanup efforts in Vieques, Puerto Rico, as part of an environmental restoration team along with the U.S. Navy. Jacobs said Thursday the team received the Secretary of Defense, Secretary of the Navy and Chief of Naval Operations awards for environmental restoration, which recognizes individuals, teams and installations for their significant work in protecting the environment while maintaining mission readiness. As part of the restoration team, Jacobs provided geophysical classification services in addition to risk reduction and green remediation functions, focusing particularly on the Vieques National Wildlife Refuge. Jan Walstrom, senior vice president for global environmental solutions at Jacobs’ aerospace, technology, environmental and nuclear division, said the team would focus on “creating a safe environmental footprint for the Commonwealth of Puerto Rico” to counter the effects of decades of military training in the area. The U.S. Navy maintained presence in the former U.S. Atlantic Fleet Weapons training area in Vieques from the 1940s until 2003. The Commonwealth of Puerto Rico identified the island of Vieques as its highest priority for cleanup.